Spider-Man. Dr. Strange. 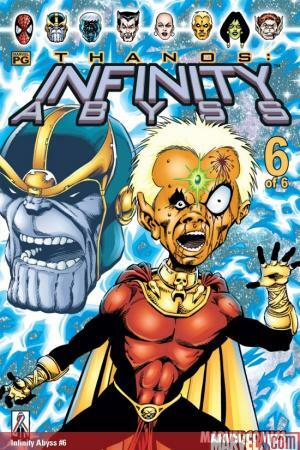 Adam Warlock. Pip the Troll. Captain Marvel. 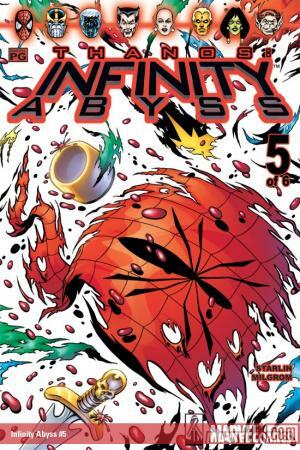 Five classic costumed champions, whose combined strength can move planets and change the course of time itself. 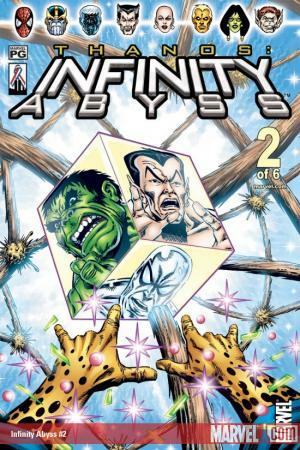 What threat could be dire enough to bring these heroes together? 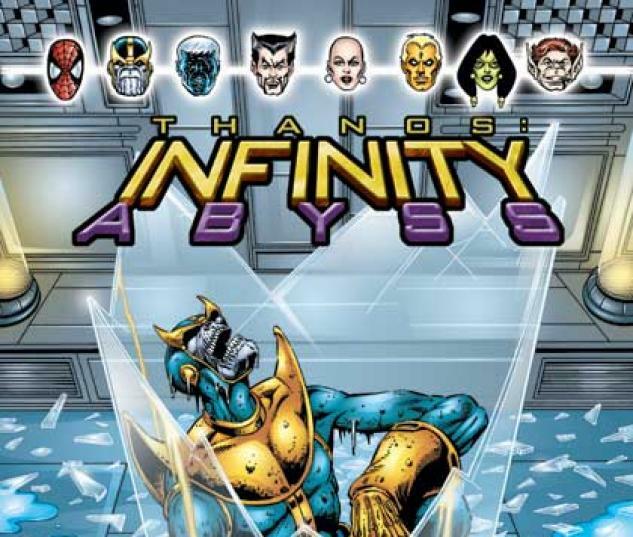 Only the most feared villain in the entire cosmos: Thanos. 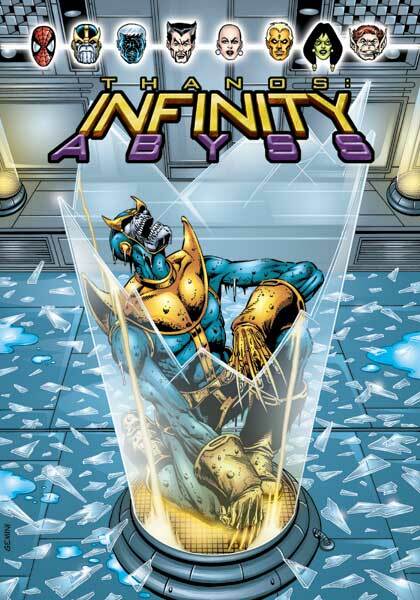 For the vengeful Eternal seeks not only the death of his enemies -- he seeks the death of life itself. 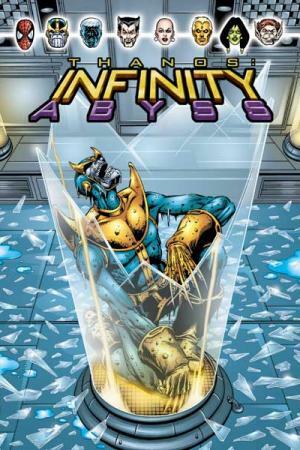 If Thanos attains his goal, the entire universe will face complete annihilation. 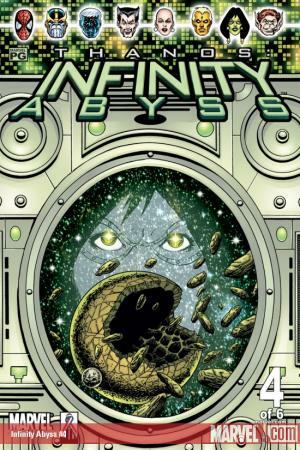 INFINITY ABYSS follows in the legendary tradition of Jim Starlin's acclaimed INFINITY trilogy. 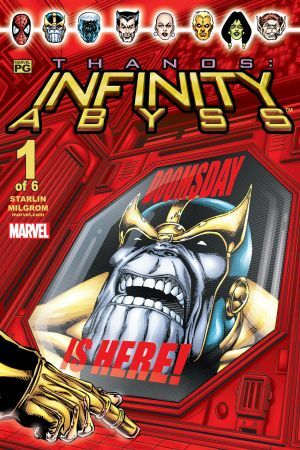 Each of these cosmic epics features exciting heroic adventures on a fantastic scale. 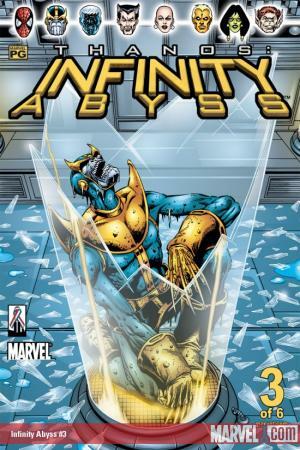 Compared to Hollywood blockbusters with limited special-effects budgets, INFINITY ABYSS has no boundaries -- showcasing Jim Starlin's wondrous imagination without limits.